When Asahi Europe took back control of Japans no1 beer, it was essential to mark this pivotal moment in the brand’s history. Each pack should reflect the super premium style of the brand using the new brand intrinsics including the dynamic line of progression central to the brands progressive heritage. 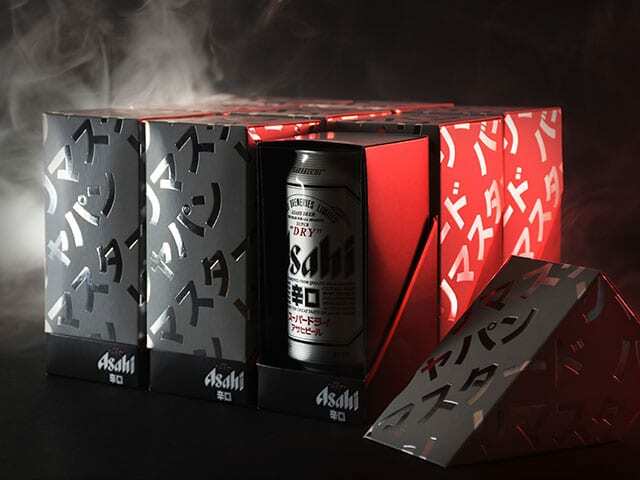 Individual can presentation packs were designed, created and distributed internally at Asahi UK to mark the date brewing of Asahi Super Dry was brought ‘in-house’ to deliver the authentic Japanese taste to the European market. Need help delivering your brand vision?